Media Tanks for Water Softeners and Media Filters | Applied Membranes Inc.
Clack Wave fiberglass media tanks (also referred to as resin tanks, mineral tanks and pressure tanks) are made from high performance composite material with FRP filament winding. 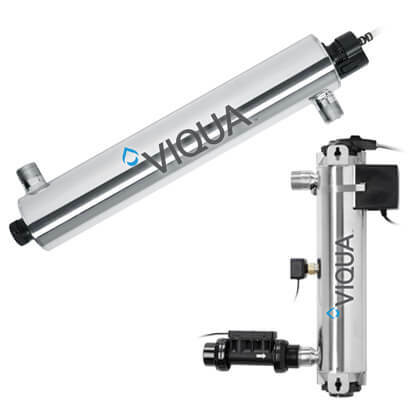 Media tanks are used in water softeners, multi-media filters, carbon filters, iron filters, calcite filters, and media filters for stand-alone water treatment or as pretreatment to reverse osmosis or other water treatment systems. 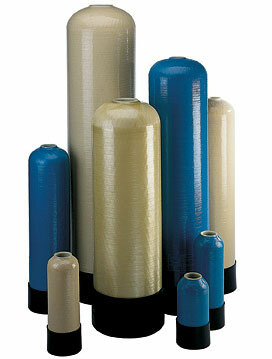 Pressure tanks are made from high performance composite material with FRP filament winding. All pressure tanks, residential and commercial, are made by a complete seamless molding technology. Full range of pressure tanks from 6″ through 48″ in diameter and from 10″ to 72″ in height. Top opening type available for 6″ through 36″ diameter pressure tanks; top and bottom opening type available for 18″ through 48″ diameter media tanks. All pressure tanks are 100% corrosion resistant. Top 4″ threaded pressure tanks from 13″ – 36″ diameter. Top and bottom 4″ threaded pressure tanks available for 18″ through 36″ diameters. Top or top and bottom 6″ flange pressure tanks available on 18″ through 48″. Attractive stainless steel jackets are available for media tanks up to 16”. Note: Caps and Jackets are sold separately.